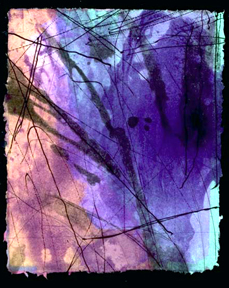 Sinopia is proud to introduce our June 2011 Artist of the Month: Betty Friedman. 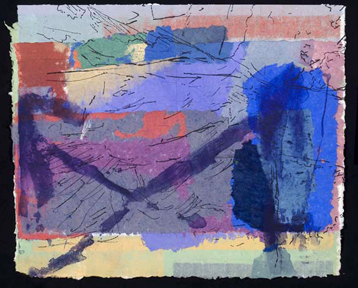 Betty Friedman is a paper maker, printmaker and a professor of art at the Notre Dame de Namur University. 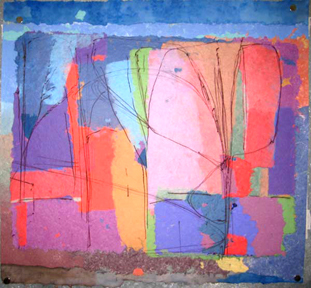 Betty Friedman says of her work: "I always begin summer by making paper. The weather is warm in Oakland and I can dry my sheets outdoors quickly. The ritual of beating pulp, coloring vats of paper pulp with beautiful pigments and couching sheets helps me decompress from the stress of teaching. It stimulates my creative energy. I make all the raw material for the coming year of printing. My handmade paper is very strong. 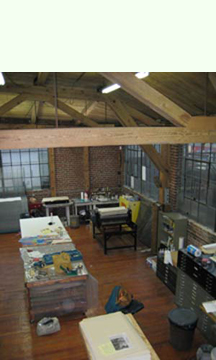 It holds up through many passes in the etching press under tremendous pressure and still prints beautifully."